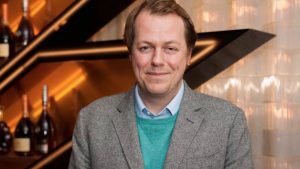 Tom Parker Bowles has a name that may be familiar to many people. His mother is Camilla Parker Bowles, the now Duchess of Cornwall and wife to the Prince of Wales. He was born in 1974 and has made a real name for himself as a food critic and writer. He has also written several cookbooks and has won awards for his writing. His critiques have appeared in publications such as Esquire and The Mail on Sunday. His career started in PR and spent time working for his cousin’s concierge service. However, in 2001 he became the food columnist for Tatler magazine and has also had a regular column in the Mail on Sunday. In addition to his writing he hosted a TV show called ‘Market Kitchen’ on the Good Food Channel and has also done some radio hosting. He was a judge on the TV series Food Glorious Food on ITV as well as an Australian cooking series. He has written critiques of a number of different restaurants including some of London’s most prestigious establishments such as Chiltern Firehouse and Le Champignon Sauvage. It was in 2014 that he was named on Twitter as one of the UK’s top 10 food critics. However, it is not just restaurants that have been the subject of Parker Bowles’ critiques. His mother’s cooking has also been assessed by his expert palate and his review of her food was published in a national newspaper. He informed the world that when it comes to cooking his mother preferred her dishes simple, staying away from haute cuisine. He also told the world that she was not the best person to get cooking tips from! His article also explained that he developed an interest in food as he saw it as an easy way to attract the interest of girls when he was growing up.